Mr. Thomas Lane Ward., age 58, departed this life on February 5, 2019 at his home in Lebanon, Tennessee. He was the son of Donald May Ward and Georgia (Lawson) Ward, born to them on January 15, 1961 in Chicago, Illinois, and the husband of Katherine (Zelno) Ward. 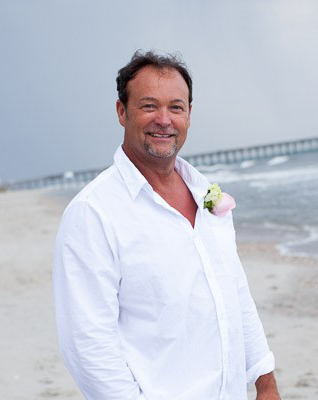 Thomas was a trucker, driving a semi-truck car hauler for Cassen’s Transport Company, and enjoyed spending time in the outdoors, especially running, hiking and bicycling. He was preceded in death by parents Donald and Georgia Ward and brother Timmy Ward. Left behind to mourn his passing are his loving wife Katherine (Zelno) Ward of Lebanon, Tennessee, sons Thomas Michael Ward and wife Melissa of Scalf, Kentucky, Marco Ward and wife Glenda of Woollum, Kentucky, Shane Ward of Richmond, Kentucky, grandchildren Abigail, Jacob, Allie, Austin, Bentley and Roczen Ward, brothers Billy Ward and wife Lee of Hinkle, Kentucky, Russell Ward and wife Carol of Scalf, Kentucky, Donnie Ward and wife Sherry of Lexington, Kentucky, Wayne Steel of Winchester, Kentucky, sisters Donna May Runyon of Knoxville, Tennessee, Carol Smith of Lily, Kentucky, Brenda Blankenship of Barbourville, Kentucky, and Wanda Henron and husband Larry of London, Kentucky and sister-in-law Rosemary Ward of Hinkle, Kentucky. He is also survived by many nieces, nephews, relatives and friends to mourn his passing. Funeral services for Mr. Thomas Lane Ward will be held on Sunday, February 10, 2019 at 2:00 p.m. in the Cobb-Hampton Funeral Home Chapel, with Reverend Owen Smith and Alan Mills officiating. Burial will follow in the Betty Frost Cemetery in Woollum, Kentucky. Pallbearers will be Austin Ward, Jacob Ward, Trey Ward, Chris Ward, Eric Ward, Russell James, Phillip Mark and Dennis Warren. Cobb-Hampton Funeral Home is in charge of all arrangements. Friends will be received at the funeral home on Saturday, February 9, 2019 from 6:00 – 9:00 p.m. and on Sunday, February 10, 2019 from 11:00 a.m. until 2:00 p.m.
To the Ward family, the staff of Cobb-Hampton Funeral Home would like to express our heartfelt sympathy during your time of bereavement.